Fareed Zakaria makes a number of excellent points in this article -- Why America's obsession with STEM is dangerous -- about the U.S. education system, whose faults are regularly exposed by those infamous international math tests – but whose huge advantages are almost never discussed, including a culture that seems to engender a major portion of the world’s creativity. Zakaria is spot on in many ways… yet he betrays the topic by buying into zero sum thinking. He argues, for example, that calls for increased emphasis on STEM education (Science-Technology-Engineering-Math) must necessarily undermine these creative advantages, by robbing American students of exposure to English, the arts, humanities and other tools of a broad and generally adaptable, modern mind. Sorry, but that part -- like most zero-sum reasoning -- is pure hokum. Oh, Zakaria’s premise is on-target; we need to double down on our investment in creative generalist education. But his fretfulness distracts from a key point here – that the “well-roundedness” trait is embedded far too deeply in the North American system to be threatened so easily. Its bulwark is fundamental and potent – in the four-year U.S. Baccalaureate degree. Most Americans are astonished to learn what a “bachelor’s” degree consists of, across most of Europe and Asia. Taking just three years (nominally), it calls for a 17 year old to dive into a single specialization, almost as narrowly as someone in law or medical or grad school, with only token requirements to lift her or his head and look beyond. That is a fine way to make science “boffins” (the contemptuous British term for STEM specialists)… or upper-crust history majors who are destined for roles in government or boardrooms, without a clue how the world really works. But it seems a wretched thing to do to teenagers whose prefrontal lobes haven’t even kicked-in yet, and who should taste from many pots, before deciding which one to cook. Yanks and Canadians rightfully recoil from such a dismal life sentence for any poor teenager who is caught in that premature-specialization machine. The North American university pattern is inherently different in its program, but also in its expectations for what it takes to be a well-rounded citizen. 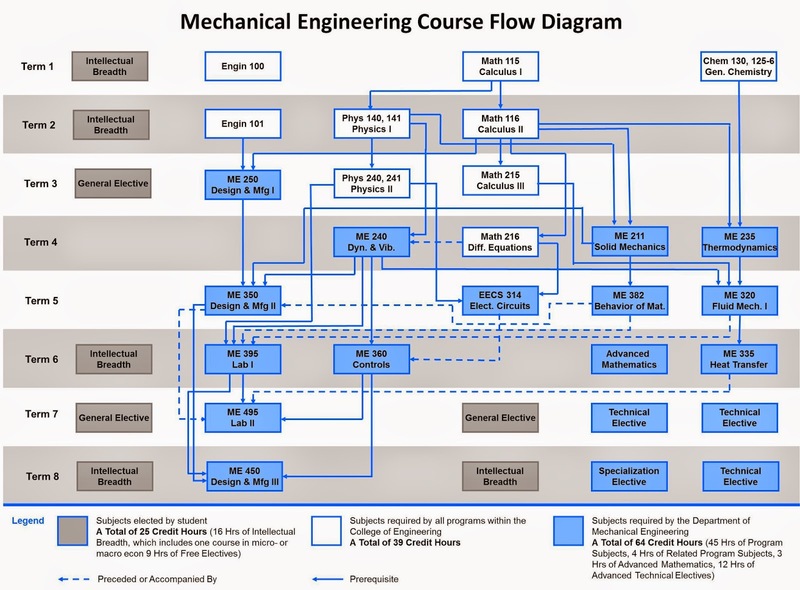 The fourth year of a U.S. Baccalaureate degree consists entirely of breadth requirements. A young person who enrolls in a science or math curriculum, at almost 99% of accredited U.S. colleges, may not graduate without taking six or more courses in the arts, humanities, history and literature. Precisely the prescription demanded by Fareed Zakaria, only without the fragility that he implies. 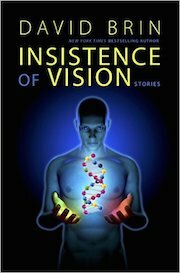 As one side effect, our nascent boffins not only learn much about the color and texture of human experience. They also discover how easy those subjects can be! And hence, an inventor who wants to start a company might decide to get a law degree, or MBA, “on the side.” Indeed, many do. And this helps to explain Silicon Valley, where boffins rule. Likewise, North American students in arts or humanities are required to take half a dozen light-but-fascinating science and math survey classes. I taught “Astronomy for Poets,” one year, and saw how happy the guys and gals were, to lose their fear of nerdy things. 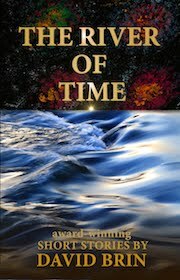 They left with at least a general awareness of the universe, its scope and rules, and how quickly this adventurous civilization is learning more. See: The Surprising Effectiveness of College Literacy Classes, by Art Hobson. This, too, has had a major outcome. The United States may do badly in international tests of memorized facts and rote skills. But we always score in the top three, at “Adult Science Literacy.” Last year, U.S. citizens scored in second place. I believe another year we were first! Is this an unadulterated success? Of course not. In order to rank number one or two, the U.S. had only to score twenty-eight percent in adult Science Literacy Rate (SLR) -- a shamefully low bar, that helps to explain why forty percent of our population actually credits blithering nonsense, like climate change denialism and anti-vaccine mania. What the ASL scores actually show is how bloody awful the rest of the world is, at graduating well-rounded citizens. Yes, even worse than America. Clearly there is just one reason why U.S. "adult" "science" "literacy" would be so much higher than our other scores, measuring the memorized/rote skills of children. That difference is college breadth requirements. Indeed, during the last decade, reformers in both the EU and Japan have been hand-wringing about this very point, promoting changes in primary, secondary and university education, demanding that they be taught “in a more American manner." Is everything rosy? Of course not! Part of the 4-years in the U.S. is making up for the fact that American high school students memorize almost no facts (but learn argumentation skills that are unmatched, anywhere) and must relearn many basics. Moreover, the skyrocketing cost of a U.S. bachelor's degree is a travesty, in a country that should be investing more in this peerless infrastructure of human development. There are also increasing concerns that corporations and even rich donors are using their economic power to sway the focus of university education away from the "wide stance" method that engenders so many competitive startups, and more to the old model of providing "boffins" to serve and never ask "why?" 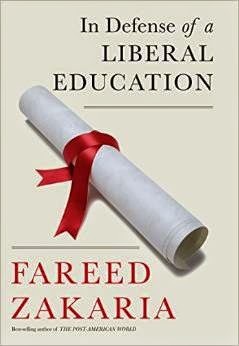 But the main bone that I have to pick with Fareed Zakaria (author of the new book, In Defense of a Liberal Education) is that a balanced view tends to be more accurate. Most of what he says is right! But he buys into zero sum thinking and jeremiads of doom, when the real news is actually quite mixed. Evidence suggests that North Americans have backed the right horse – aiming to teach well-rounded generalists who then, at age 21 or 22, can choose to specialize with a broad grounding and a wide stance. 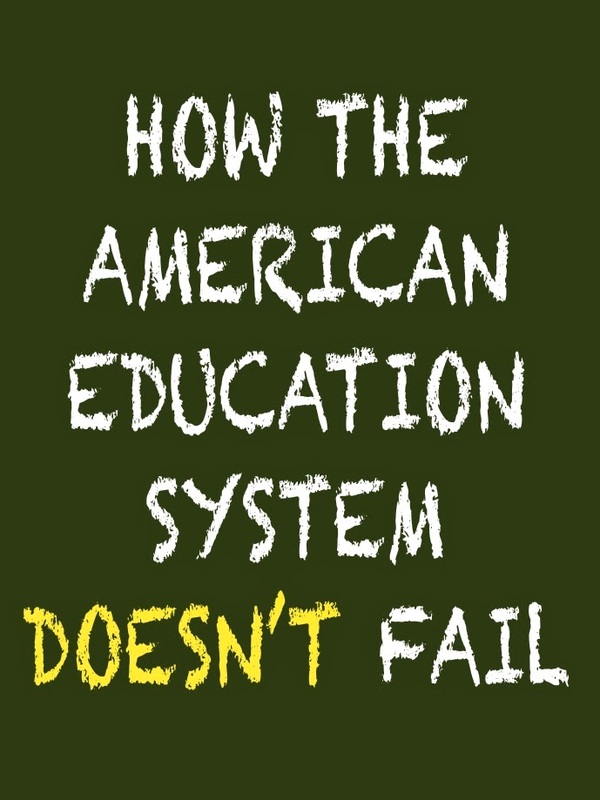 We do this at a cost – doing more poorly than other nations at tests measuring rote skills and memorized facts. This fact, in turn, has hurt those U.S. students who need basic or vocational proficiencies, more than they need exposure to stars and art. We have abandoned vocational education, and betrayed those kids. But for the 50%+ who do go to college of some sort, there is as much good news, as bad. The pattern is the right one for developing agile, creative citizens. It is a pattern that engendered eighty of the one hundred best universities on the planet. Moreover, we can work with that pattern, making it ever better at preparing students for this ever-changing world. At last! No more Atlas! 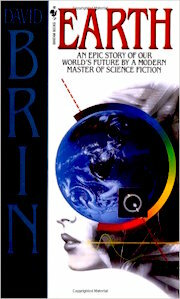 Let's conclude this series about sci fi films that exaggerate human error, in order to make a polemical point. Exaggeration-of-error was understandable in the otherwise wonderful movie, Avatar. (Though it still should have been done even-better.) Now let's sweep all the way to the opposite end of the quality spectrum -- from the sublime to the absurd. It was required and behooved. I had no choice. We rented… and watched… Who is John Galt? 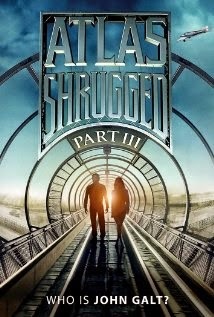 Part III of ATLAS SHRUGGED. Oh, oh my, how did they manage? This episode was spectacularly worse than the other two, proving that there are no limits to execrable. Oh sure, I took into account that this was the portion of the book wherein Ayn Rand launches into a 60 page speech, one that has helped lure two generations of angry, young-white underachievers away from any sensible (Smithian) version of libertarianism – (based on flat-open-fair creative competition and rooted in actual human nature) - toward a life hating rant-fest of ingrate solipsism. In fact, though, the movie version of John Galt’s speech was the best part of this awful trudge, wherein dialogue, acting and even the sets sank below minimum standards for a high school film project. Distilled to a few minutes, at least the speech had a decent stab at doing what Vonnegut aimed for in the vastly more intelligent and effective libertarian-satire tale "Harrison Bergeron." 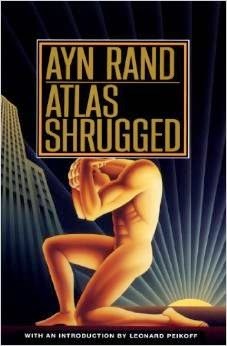 Indeed, if we ever did make a society as deliberately debased and wretched as the strawman People's Republic of America portrayed in Rand's book and film, well, I might have said a few of the same things Galt growled, in this hyper digested version. ...and even less with today's era of Elon Musk and Google and Richard Branson and Whole Foods and Uber and university-spinoff startups and privately-invented self-driving cars. Never once do Randians address the question: "compared to what?" Across 6000 years of awful rule by feudal lord-cheaters, can they point to a society that was friendlier to inventive entrepreneurs than this one? Or a society that ever engendered so many libertarians? Oh, I am all for enhancing some pro-liberty-and-competitive-ingenuity trends. But to assume that this narrow renaissance should be hated, when the alternative attractor state of feudal repression looms from all sides? Oy, silly guys. But I've shown all that, already. Moreover, in the case of A.S. Part III, there's much worse – so much worse - than just piling up resentment based on (mostly) delusional grievances. 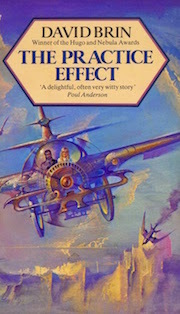 For example, the makers of this film don’t even try to soft-pedal the volcanically blatant evil of Rand's top hero - John Galt - who demands that the outer civilization "get out of my way," and stop aggressing his ubermensch Nietzchean demigods... while he’s hypocritically cheating and aggressing like mad! Committing nearly all of the deadly destruction in the story, blowing up critical infrastructure, consigning millions to starvation and darkness with acts of sabotage on a scale that would make Al Qaeda and every terrorist group in history envious. All of them, combined. Note, this isn’t soft-pedaled or disguised, but avowed openly, in the movie's very first scene! 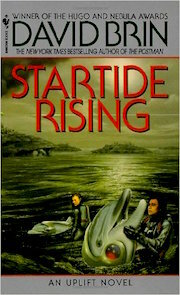 The elite of Galt’s Gulch cannot win on their virtues, so they murderously cheat. 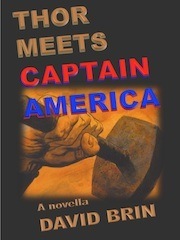 Then there is the blatant way that Ayn Rand imitates -- in the Passion of The Galt -- the dramatic arc of Jesus, from his betrayal by an apostle, to the Temptation, to the Torment and Crucifixion... followed by a kind of resurrection. Hey, copy and crib from the best. That's what she did with Marx. I just had to smile when the director and producer of this film version went out of their way to include a minor, one page scene from the book, during Dagny's tour of Galt's Gulch, when she speaks to a lower-caste baker woman who happens to have... (shudder)... procreated! The only character to have or even mention children in Ayn Rand's entire, vast canon -- indeed across all of her works about the "life-oriented philosophy." I had to wonder, was this obscure scene included because for years I've rubbed Randian noses in the utterly impotent sterility of their uber-demigod role models? Several dozen archetype "ideal humans." Not one of whom, at any point or at any level, engages in the most basic human activity: bearing and raising children. Not even the somewhat admirable - or at least respect-worthy - architect, Howard Roark, from The Fountainhead, can spare a glance toward the future. How very un-darwinian, for social darwinists. Oh, ironies abound! Like the cameo appearances of Sean Hannity and Glen Beck in this spew. Part and parcel of the central Fox narrative – they admit that libertarians have every reason to be disgusted with the Republican Party, which has never, ever, ever done a single thing to help small business, or innovators, or flat-open-fair capitalism. But… but Goppers say libertarian-sounding things! And doesn’t that matter far more than substance or statistics or other sciencey things like facts? 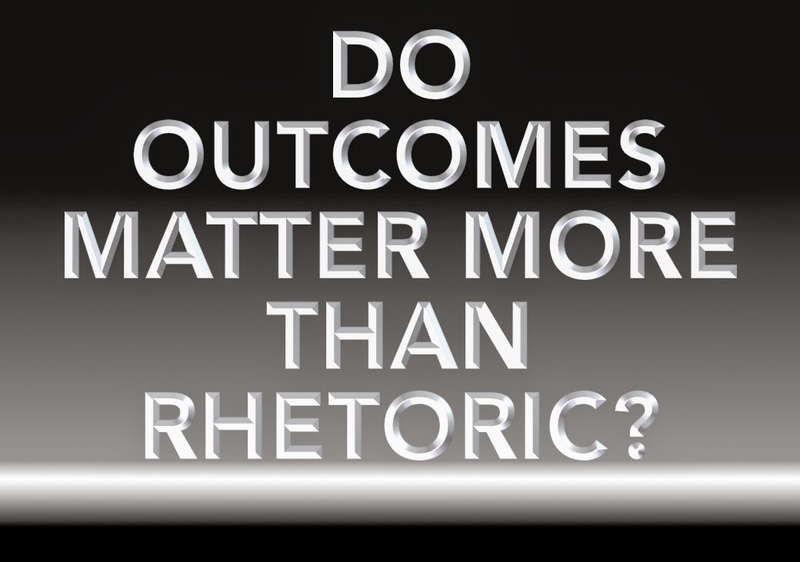 Or actual, actual outcomes? So come on home, every election (you fools)! And ignore the plain truth: that markets and innovation, productivity and small business, deregulation and every other thing that libertarians should care about actually do far, far better under democrats. Indeed, democrats have deregulated ten times as many industries as republicans have ever even tried to do. Oh, but here's the crux, guys. Why have you not already built Galt's Gulch? Seriously, it’s been ages. Republicans spent 6 years (2001-2007) controlling every branch of government including the courts, and have had a pretty strong lock since, especially in half the states, where the Randian rhetoric has risen ever-stronger. But... well... do you see any pro-competition measures from them? No, even if you toss aside the undead were-elephant, we are left demanding of you why you haven’t built your paradise already, the way Ayn Rand's heroic John Galt insisted you should? By yourselves? Even more so in some capital-hungry small nation. I could name a dozen where, backed by real investment, a colony could set up to start doing what they please, unfettered by all those compromises made by the People’s Republic of America. So why haven’t you put your money and effort where your mouth is? 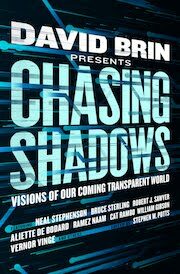 Only Peter Thiel and Patri Friedman and a few of their pals have done this with some tepid sincerity, slipping a tiny sliver of actual money into Seasteading, sketching grand images of what it might look like, if someone else were to create new principalities with sovereign rights somewhere out on the open ocean. 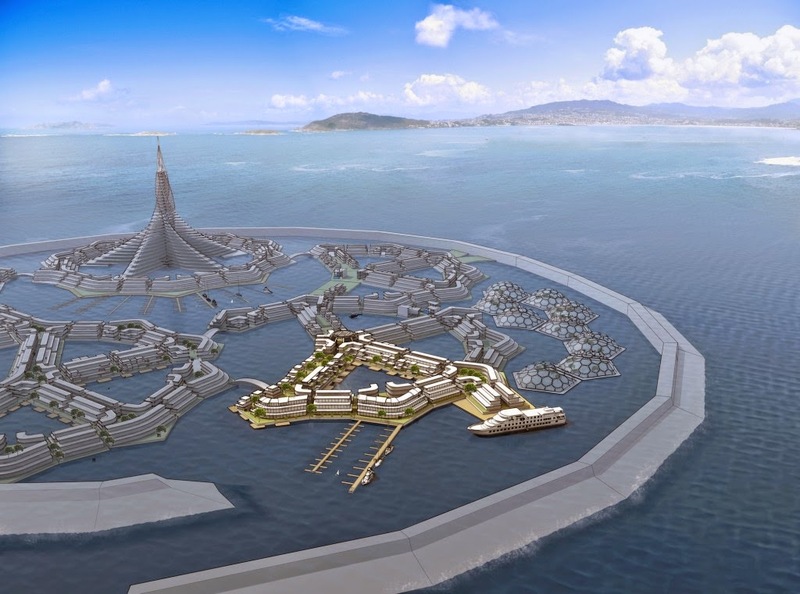 I offered some advice as to how to do it right… advice that was not appreciated, even though it was sincere and practical and covered bases that any non-hallucinatory seasteading project would have to, if it meant business. But never mind, I re-cycled the ideas and showed the way-to-do-it in Existence. Indeed, the only places where Randians have actually stood up to emulate Galt and openly out-compete those dreary mixed-economy compromisers are... in fiction. If fact, I do agree with these fellows on one crucial matter. The Randians are right to fear a particular failure mode: that “looters” – mostly established oligarchs but also socialists – might wreck the flat-open-fair civilization that brings creative miracles into the world, through the marvelous fecundity of flat-open-fair competition. Neither oligarchs nor socialists like competition (though the former lie, and claim that they do.) So yes, that kind of enemy is worth guarding against! Indeed, that is one set of directions where-from a collapse of our enlightenment revolution might come. What they neglect is to notice there are others, indeed a myriad ways that cheaters could ruin our brilliant oasis in the bleak horror of human history. 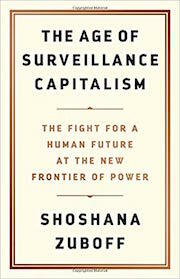 Others are right, too, in their own fixated notions of where Big Brother might come from! Our renaissance could fall to religious zealots, faceless corporations, manipulative media, dogmatic movements, Crichtonian science-gone-mad scenarios, Matrix-style machine gods… or ingrate-solipsist demigods who rationalize that sabotaging civilization is the best option, practically and morally. If only we weren’t so all-fired eager to declare "only my side’s enemies are dangerous!" In fact, you paranoids out there… you’re all partly right! And, by dismissing the notion that your own side’s elites might also be dangerous, you are also insanely wrong. Me? 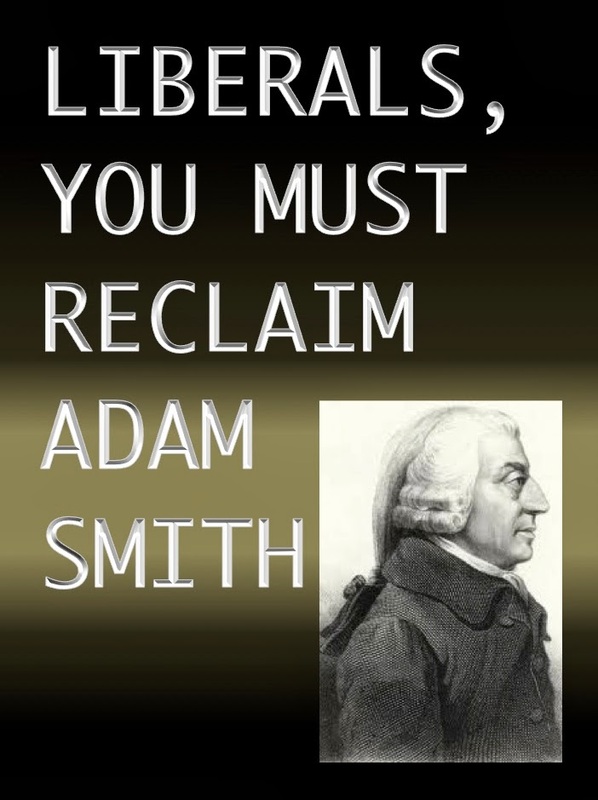 I find appealing the much more nuanced and generous libertarianism of Adam Smith, who liberals and more subtle libertarians should both embrace for his incrementalist care to nurture the best of competition, while evading the relentless cheating that ruined competition for 60 centuries. But this here screed of mine started out about an awful, awful movie, based on a tedious, life-hating book, written by a hysterical Russian émigré and acolyte of Karl Marx. And despite this cult’s rare glimmers of on-target criticism, its potential to change a damned thing was cauterized, long ago, by fanatic over-simplification. Except perhaps for Peter Thiel, the correlation of Randianism with impotent under-achievement is just too blatant for us to ignore any longer, or to take seriously the preachings of its maniacal guru. 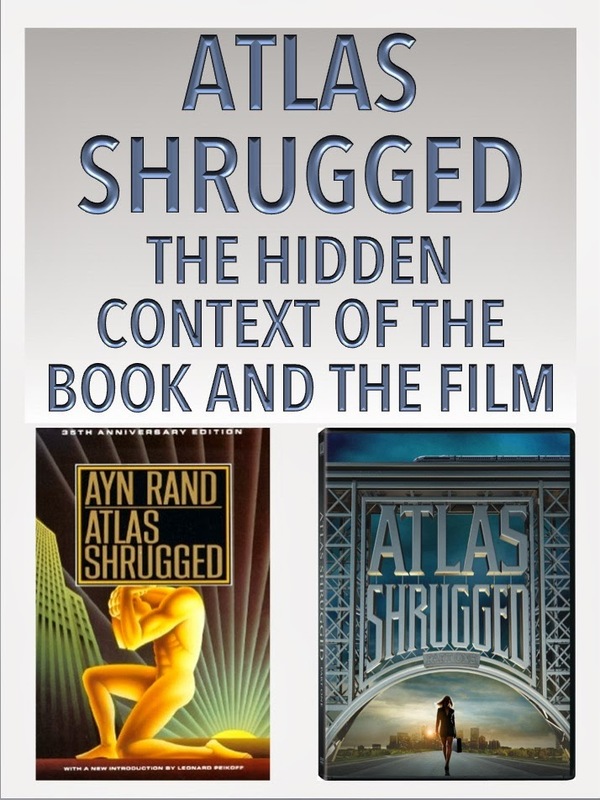 Labels: Atlas Shrugged, ayn rand, movie, part III, who is john galt? Okay, I am almost finished here. It is a tribute to James Cameron that he provokes careful, even critical, appraisals of his work, which I tried to do in my riffs on Avatar. In Part III, I offered one proposal for a three-minute tweak -- possibly in a director's cut -- that might repair the core, moral heart of this great-but-flawed film. 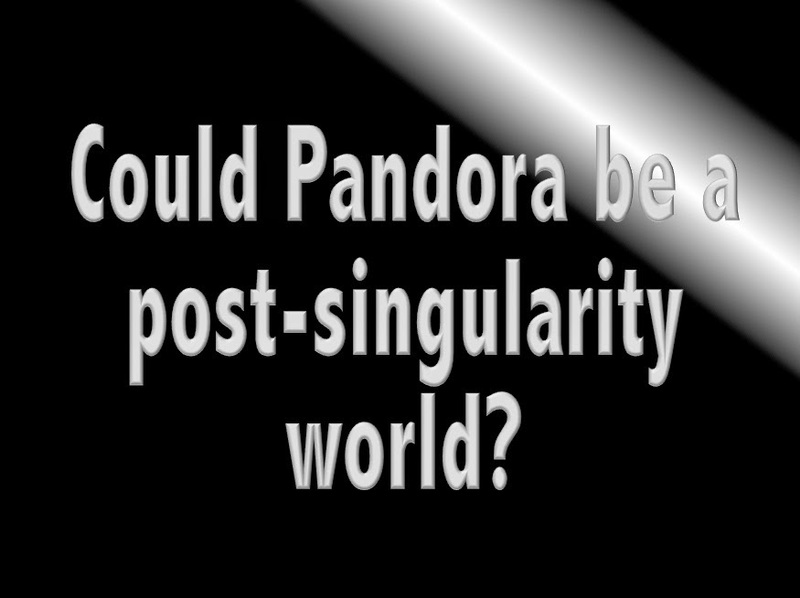 "All the amazing aspects of Pandora, all the magical exaggerations, along with its strangely un-biological biology and the behavior of its natives can be explained if you assume that the planet is a post-singularity world." 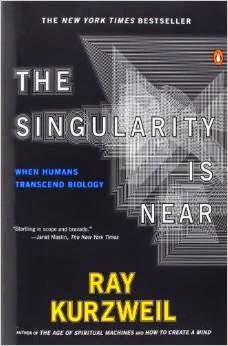 Now, some of you may be unfamiliar with the "singularity" as it was first laid out by the great science fiction author Vernor Vinge, later now pushed hard by Ray Kurzweil, author of The Singularity is Near. This notion -- much discussed among the world's nerds -- is both simple yet profoundly intricate. It takes the fact that human skill and knowledge are accumulating at not just an accelerating rate -- but the rate of acceleration is itself accelerating. The most familiar sign of this acceleration is Moore's Law, under which computing power doubles every 18 months or so. At this pace, it should be possible to emulate human intelligence in a box, within 20 years or so. Then that artificially intelligent (AI) box can design a new, improved one, which designs the next and so on, in a sequence that rapidly takes off. In mathematical terms, a "singularity" is what happens when such trends accelerate beyond any ability to predict outcomes. All bets are off, when everything you took for granted has changed. 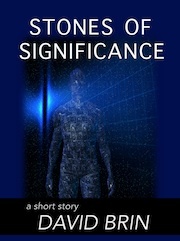 Now, a number of authors (including me) have tried to picture what life might be like on the other side of a singularity (see my novella Stones of Significance). If the huge brains we create turn out to be monstrous and unsympathetic, they may try to stomp us, as in the Teminator and Matrix flicks. Or they could become loyal assistants to human ambition, helping us span the starways, as in Luc Besson's Lucy or in Her, or in the Culture novels of Iain Banks. 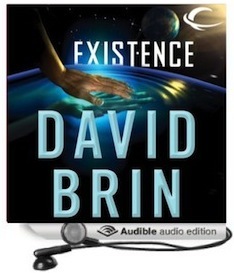 There are so many possible ways that this transition might work out – and I cover a number of them in my novel, Existence. But one is especially enticing when it comes to Avatar. 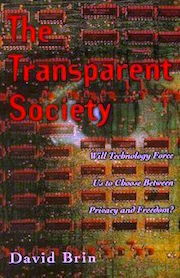 The possibility -- suggested by Matthew Bell, but really kind of an obvious possible riff, and subsequently proposed by others -- is that we and our super-mind computer friends might use immense new "godlike" powers the way today's teenagers use the spectacular computers in their homes. …the Na'vi are dashing about and flying through Pandora's vivid, colorful forests as kids -- young minds -- immersed in a game. 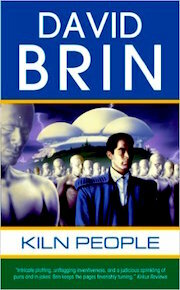 Their true selves are rooted in the planetary mainframe, which manifests at the surface as a white tree. (How very Tolkien-esque!) 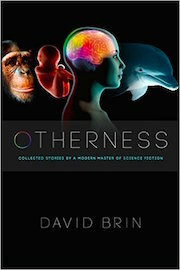 This could explain why the biology and ethnography and all other features seem exaggerated for effect, including the internet-like rapid communion network that laces everything from the animals to the Tree of Life. Including the way Pandoran creatures can plug-in. If we play along with this post-singularity notion a bit, we realize that Avatar isn’t Dances with Wolves at all! It’s more like Star Trek’s “Errand of Mercy.” In this famous example of a frequent plot in SF, humans encounter a "primitive folk," and don’t understand them. Over time, it is revealed the primitives are actually vastly more advanced people who have decided to live in a rustic manner, either for their own reasons, or in order not to reveal the truth to young races out exploring. In that one memorable episode, the Organians are energy beings who get the Federation and Klingons to stop fighting. One of the recent Star Trek films had a similar theme. 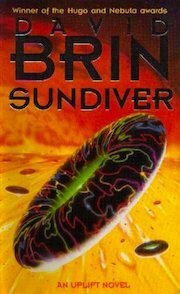 Let's go a bit with this notion that Pandora's biosphere (and "unobtainium") turn out to be the result of a post-singularity super-civilization. Then the story that we all got to watch in Avatar might conceal one of three sub-plots. 1) Visiting humans were the primitives, in technology as well as culture! The "war" was a test, which those who sided with the Na'vi passed on our behalf. It ends with the soldiers/scientists "going back to school." 2) The Na'vi -- helped by Jake -- win the war. They then hit pause and evaluate the terrific game they all just played… only to be horrified! To learn that humans who are killed stay dead! (Their own dead just reboot.) "Why didn't you tell us you were mortal?" they cry out in angst. 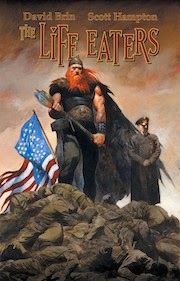 Though also impressed that human warriors would be willing to stake so much on the line, in battle. 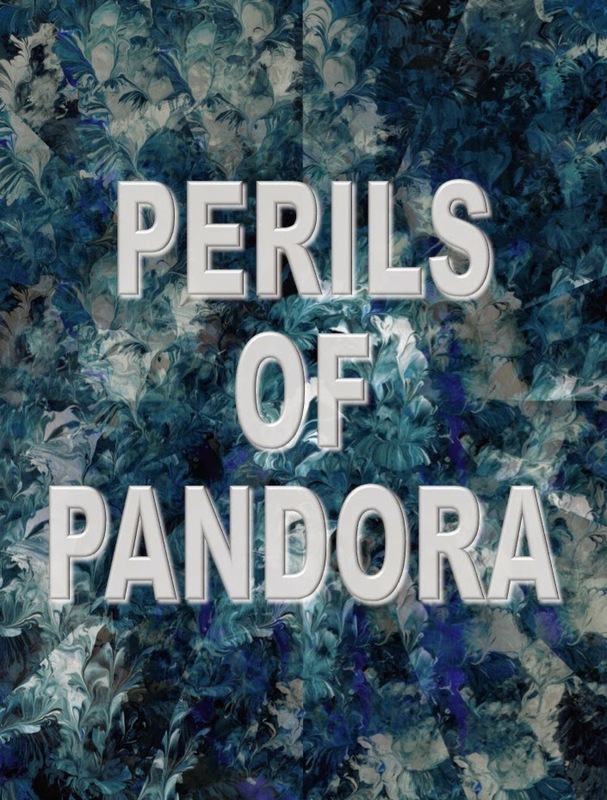 3) The great simulation of Pandora, while beautiful, has a deeper purpose. A real foe is coming. This is training. And humanity is now embroiled, like it or not. 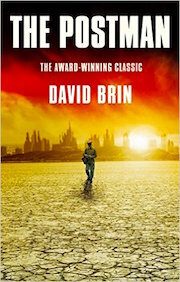 As Matthew Bell put it: "The Colonel’s bomb mission was never going to succeed. The only question was in what subtle way would it be averted. Eywa, or should I say AI-wa, had it worked out well in advance, and sent the seeds to tag Jake Sully so that he could play this role, and thus both find somebody who would be human enough to arrange expulsion of the humans, and also join the Na’vi and fight for their side. Indeed, you could say that Jake was AI-wa’s avatar, or at least instrument, as is clear from the very start." Yipe! That may be drifting way too far, even for me. 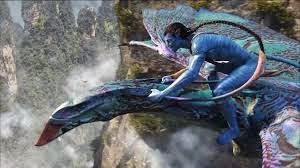 After all, despite the many elements that he borrowed, Avatar is James Cameron's story to tell. These are just fannish daydreams, then. 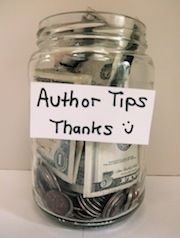 My own readers send them to me all the time. If Mr. Cameron reacts as I do, then he feels flattered and pleased. 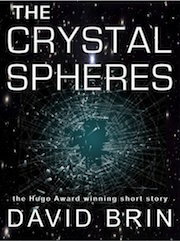 I am always a sucker to talk story, and then try to find some new story, that breaks with the cliches. And on that final note, let us bid fond farewell to Planet Pandora and its very very very tall... Until we all great the great pleasure of visiting again, anon. Part III: Perils of Pandora: Can Avatar be 'Fixed'? 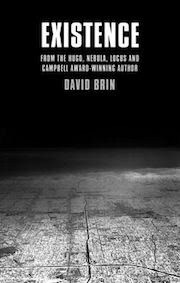 Memory and the Forgiving Internet?